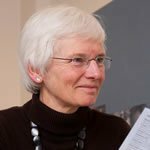 Alison has been involved in teaching and training of evidence-based healthcare and critical appraisal skills for over 25 years. 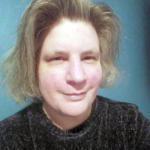 Alison currently undertakes specialist public health work, and is also an experienced executive coach and mentor, working mainly in the charitable sector. Until July 2014 she was Public Health England’s Deputy Chief Knowledge Officer. In this role she oversaw the creation of a wide range of knowledge products and programmes within the directorate, including local authority health profiles and the NHS Atlas of Healthcare Variation. 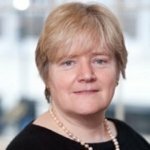 Previously she was managing director of Solutions for Public Health, an NHS business unit, providing highly specialised public health evidence and intelligence services to the NHS and local government. Dr Hill led the organisation for 14 years, developing it into a £7 million business, with 80 staff. She was director of public health in Buckinghamshire and Milton Keynes for 10 years. Amanda is a Public Health Physician, with special interest in Evidence-Based Health Care and Public and Patient involvement in Health Care and Health Research. She is an experienced teacher and has worked for the Critical Appraisal Skills Programme (CASP) from its inception in 1993 and has been a senior fellow of the Centre for Evidence-Based Medicine since 1996 where she coordinates and facilitates the Spanish-speaking groups and runs plenary sessions on teaching EBHC. 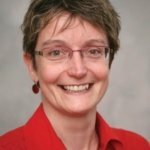 From 1997 to 2008, Amanda founded and directed the West Midlands Health Technology Assessment Collaboration at the University of Birmingham which produced systematic reviews and economic evaluations to inform national and regional UK NHS policy decisions, such as the NICE appraisal process. She set up the Oxford International Programme in Evidence-Based Health Care which includes Certificate, Diploma, MSc and Doctoral Programmes as well as standalone modules. She was also Director of Post-Graduate Programmes in Evidence-Based Health Care (EBHC), at the University of Oxford where she ran and taught on the MSc in EBHC and supervised DPhil in EBHC students. She received several awards for teaching excellence during this period, including one awarded by the students themselves. 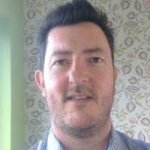 Jon has 18 years’ experience in public health roles across England and Wales and a track record of facilitating critical appraisal skills learning for multi-agency audiences across the UK. In current and previous roles, as Public Health Information Analyst and Advanced Public Health Practitioner Jon has developed excellent knowledge and skills in the analysis and application of research evidence in public health. Jon leads work on Behaviour Change and Public Information for Public Health Wales, and contributes to other national work. Jon also has significant experience of working in local public health teams. Jan is a senior Consultant in Public Health with experience at Director level. Highly motivated and action oriented. A sound, politically astute leader and effective team player. Able to deliver high quality, efficient health and care outcomes and provide professional support for effective decisions. Exceptional teaching skills with experience in coaching, mentoring and supporting staff through personal and organisational development. Jan’s career history includes several years teaching followed by Public Health training and time as a Director of Public Health and in various regional and national level positions. 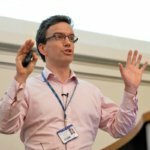 Dominic is a clinical academic working at Queen Mary University of London where he runs evidence-based dentistry teaching across the 5-year BDS programme. Dominic writes regularly for the EBD Journal and has a keen interest in quality improvement in primary dental care. His research has focused on how dental teams draw on multiple sources of knowledge to inform their clinical practice. He is completing a DPhil in Evidence-Based Healthcare at the University of Oxford. Josie trained with the Medical Research Council working on cancer clinical trials, then worked with the West Midlands Health Technology Assessment Collaboration on technology assessment reports for NICE and the local health authority, and evidence reviews for other public sector organisations. Now self-employed providing statistical consultancy and training, primarily for the public sector. Prof. Peter Bradley has worked with CASP for over 15 years. 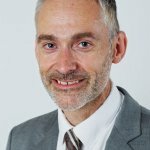 He has been a Director of Public Health for over 11 years and now works as Director Knowledge and Intelligence in Public Health England. He has honorary posts in University of Swansea, Cambridge and Cardiff. After medical training he first worked in child health and general practice, then academic and service public health in England, Wales and Norway. He has a particular interest in the use of evidence and intelligence to drive public health practice.